Celebrate the Full Moon with Wendy, no matter where you are in the world! 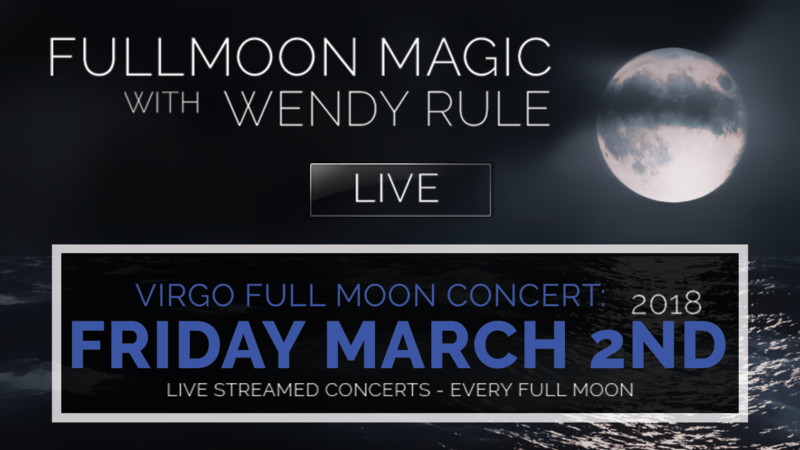 Each Full Moon Wendy will be live streaming a free acoustic Full Moon Magic concert straight from her living room in Santa Fe, New Mexico – or whichever exciting destination her international touring schedule takes her. More than just music, each concert is a ritual experience, weaving together mythology, meditation, storytelling, and songs, themed around the astrological sign that the Full Moon is in each month. Tune in live from this website at the time of the Full Moon, or access each concert later via youtube. The Full Moon Magic concerts are free to view, though donations are greatly appreciated.